Cuz Baby You're a Firework! — Geoff Howell Studio Inc.
Cuz Baby You're a Firework! 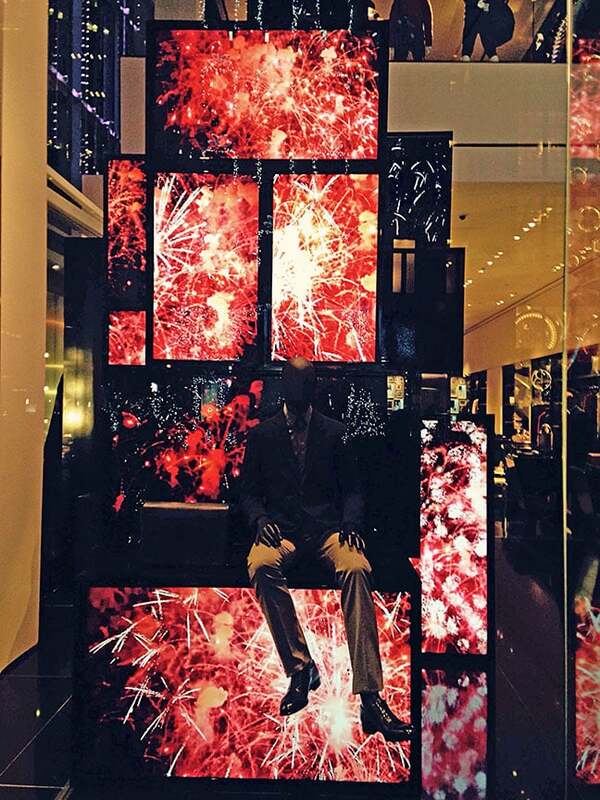 Holiday Razzle Dazzle at the 5th Ave Armani this past Chirstmas involved stacks of carefully programmed video monitors instacking, black gloss lacquered, framed cases. The video content was of constantly exploding fireworks in shades of red, gold and fuchsia. The bottom risers were made larger to allow for the sitting mannequins and product display and diminishing sizes of carefully stacked monitors took advantage of the high celiings at this locations, helping to propel all the action skyward!